I’m a dual Australian/British citizen and I grew up in the small suburb of Park Orchards in Victoria, Australia. I played basketball and hockey and loved my horse (and books about horses). In 2005 I graduated from Monash University in Melbourne and afterwards I spent a year travelling through Cambodia, Laos, Vietnam, China, Nepal, India and Pakistan. Many of the stories on my blog are based on the experiences I had during this time. I moved to London 365 days after leaving Melbourne for Asia. I worked at a government agency for a year, while studying journalism at night school. I quit my job altogether to obtain accreditation from the National Council for the Training of Journalists (UK). 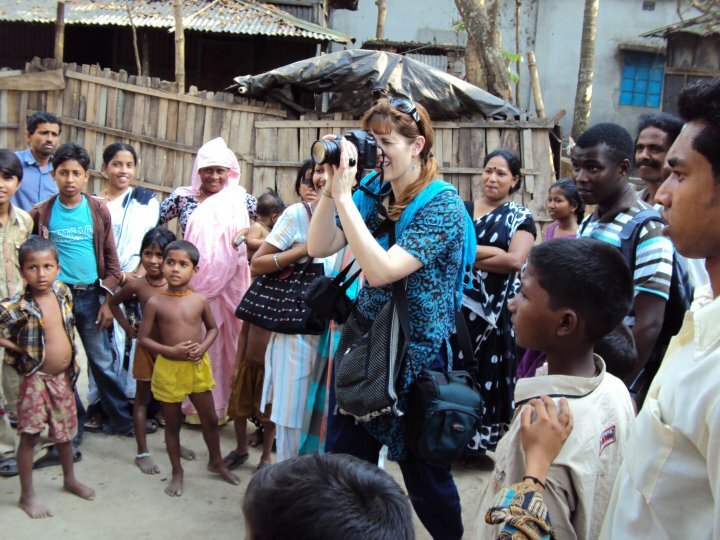 However finding (paid) work as a journalist in London was really tough, so I went to Bangladesh to do a six month internship at The Daily Star. Fantastic place. That was in November 2009 – and I’m still here in Dhaka. Last month I married my translator, a Bangladeshi journalist called Sherpa Hossainy. Things are great. I write features for a national newspaper in Bangladesh called The Independent, as well as for IRIN, the UN’s news service. Previous PostA bite-size summary: The UN’s appraisal of the implementation of the Chittagong Hill Tracts Peace Accord of 1997Next Post“The next great earthquake is knocking at the door,” warns a Bangladeshi seismologist. Here is what you can do to prepare for it. Got your tweet about sending a marketing plan, but as it was a tweet it lacked context. Can’t find a contact page here, so please send an email to gary@garynealhansen.com. Your “duplicated info about me” is enjoyable. Got this blog by accident. Will read again. Thanks for writing. Love your blog Jess. Safe and happy travelling. Will keep in touch on Facebook.